At the beginning of 2018, Prinovis initiated a promising cooperation with print entrepreneur Bernd Rose. At the core of the partnership lies a technical innovation for gravure printing. This innovation allows the inline manufacturing of products with covers during the printing process; some sheets (e.g. the first and the last) can then be twice as thick as the rest. As a result, the finished product has the appearance of a customary magazine with cover. “We are very happy that we and the Rose Druck GmbH were able to secure the exclusive rights for all relevant markets in Europe via license agreement,” said Astrid Meicherczyk. 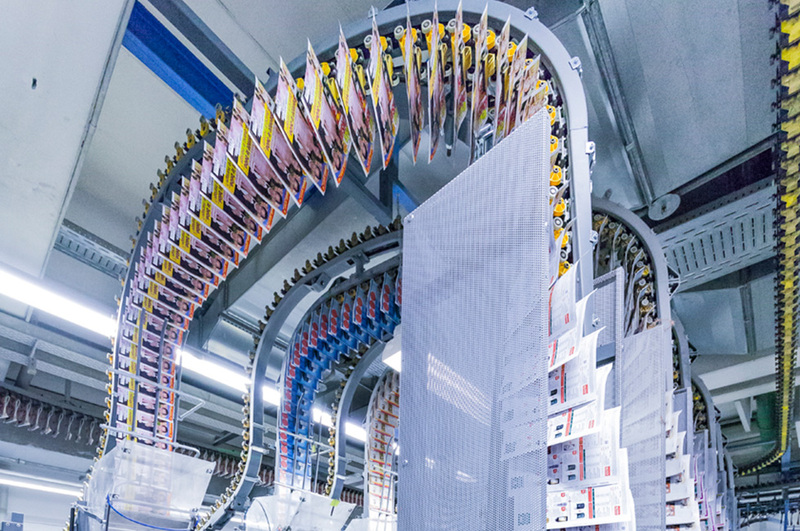 The advantages of the improved gravure printing process are convincing: publishers, mail order business and stationary trade benefit from an improved inline product with drastically shortened production time, highly simplified execution and cost saving. Differing paper colouring and rendering between cover and content are no longer an issue. The broad range of formats gravure printing offers still remains the same, however.